Rosenzweig et al. (1993) presented some interesting results based on current production and change in simulated wheat yields under GCM climate change scenarios. For the GCM doubled CO2 climate change scenario, simulated yield increases in mid- to high-latitudes were caused by the positive physiological effects of CO2 and the lengthened growing season. In contrast, decreases in simulated yields were caused by shortening of optimum growth periods due to higher temperatures, decreases moisture availability and poor vernalization. As mentioned earlier, increased concentrations of greenhouse gases in the atmosphere are a major factor in contributing to enhanced natural climate variability. Climate extremes are becoming more pronounced and the impact on agriculture can be catastrophic in terms of productivity declines and economic losses. Rapid geographical shifts in the agricultural land base, brought about by very rapid climate changes, could disrupt rural communities and associated infrastructures. McCracken et al. (1990) reviewed the critical issues in agricultural impact assessment. Agricultural crops and livestock are extremely vulnerable to extreme events, such as droughts, heat waves, and severe storms. The frequency, intensity, and duration of extreme climatic events can be more consequential to crop yields than changes in mean values. Another important aspect of this analysis is that next to climate, technology is the most critical factor affecting agricultural productivity. Projecting the impact of future climate change requires a projection of future technological improvements. Even in the highly industrialized United States, agriculture is highly vulnerable to the vagaries of climate and the complex interactions between farming and the environment. 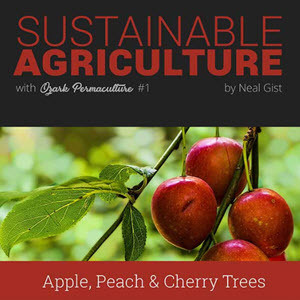 Farming has successfully produced food and fiber but it also caused environmental degradation. Worldwide degradation of agricultural land causing irreversible loss of productivity is estimated to be 6 million hectares per year (Lal et al., 1998). Soil erosion by wind and water has been significant, but any decline in yields has been largely offset by greater use of fertilizers. However, off-farm pollution due to runoff of fertilizer and agrichemicals has increased. As a result of these issues, an alternative approach to conventional farming practices has evolved. This approach focuses on the reduction of environmentally damaging use of fertilizers and chemical pesticides through processes that directly or indirectly (by reducing waste) affect fertilizer and pesticide consumption. These processes include improved efficiency of fertilizer uptake by a plant; biological pest control practices; production of plants more resistant to stress; and reduction of post-harvest losses through better storage, handling, and distribution (Bugliarello, 1989).